Four years ago on December 28th, The Pilot and I moved to DC, into our first apartment together. This past Tuesday, on that anniversary, we moved out of our most recent apartment, which we had been in for less than five months, into another apartment in our old neighborhood. There were a number of reasons for this move - finding a bigger apartment for less money, an easier commute for The Pilot, and some reasons that I won't discuss today. I'm not thrilled that I've spent a much needed week off from work packing and unpacking but our new apartment, despite being stuffed with boxes because the cold I've come down with is keeping me from unpacking, already feels like home. I'm hoping to get as unpacked as possible over the next two days so that I can kick off the New Year feeling organized, energized, and up for making 2017 my best year yet. 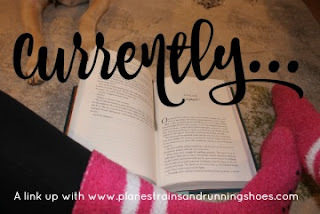 Today, I'm tying two of my usual posts into one and recapping December while sharing what's currently going on. Miles Run: 6. Yup. A whopping 6 miles. So much for starting Disney Princess 13.1 training! Minutes of Yoga: 0. Ouch. 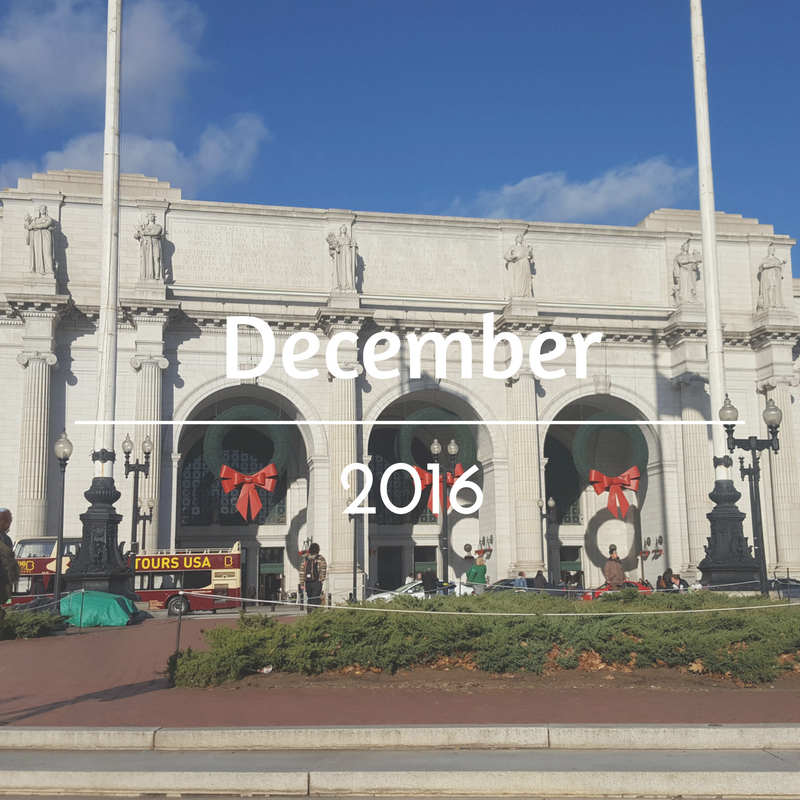 Highlights: A nice, quiet Christmas and moving into a new apartment that's double the size of our last one and right in the middle of my favorite part of DC to run in. Lowlights: Stress. Not running or doing yoga, or anything to mitigate said stress. As for the month of December, well, I've already mentioned just how busy it was. As a nonprofit fundraiser, December has always been a busy month but this year, I was blindsided by just how busy the month would be at my 'new' job. I tried to get ahead of things as much as possible but I felt like I was putting out fires every day and I'm so glad that the month is behind me! Currently...sipping a strong cup of coffee and wondering how I managed to pack my shower curtain and shower curtain hooks separately. Feeling... under the weather and like I haven't done anything relaxing during my week off. Reading... "Yes, Chef" by Marcus Samuelsson. I'm about 10 pages from finishing and have really enjoyed this book. Marcus Samuelsson just opened a new restaurant in the National Harbor and I'm already thinking that might have to be where I spend my 30th birthday! Thinking about... getting my kitchen and dining room (I have a dining room!!!) organized so that I can start whipping up amazing things in my kitchen! One of my 2017 goals is to do way more creating in the kitchen, in part to save money on eating out, and because I truly love cooking and want to devote more time to it. Working on... my other goals for 2017. This is the year I turn 30 and I can't wait! Needing... a vacation. This month has been one of the most stressful months I've had in years and I was desperately looking forward to this week off. I'm hoping to get things unpacked as much as possible so that I can come to a place where I can relax this weekend and worry about unpacking the rest next weekend. Excited... for 2017. This year has been a good year but I also didn't spend enough time on ME. I let business at work channel into total laziness at home and I don't want next year to be like that.